Published: Aug. 14, 2012 at 06:56 p.m. Updated: Aug. 15, 2012 at 02:20 p.m.
We don't know if you've noticed, but this is shaping up as the greatest Comeback Player of the Year race in NFL history. By definition, the CPOY Award is given to a player who "shows perseverance in overcoming adversity, in the form of not being in the NFL the previous year, a severe injury, or simply poor performance." It's a pretty loose interpretation, and one that allows for a host of qualified candidates. Let's break down the Top 10, from longshot to favorite. To earn this award, Johnson would first have to catch on with a team, ingratiate himself in a new offense, then turn back the clock and perform like in his Bengals heyday. I'm open to dropping him several hundred spots here. Suggs won't be back on the field until November at the earliest, and even then it's hard to say if he'll be close to the same player. But his dominant reputation warrants a place here. Berry was actively being positioned as the league's next great safety before he blew out his knee in Week 1. Given plenty of rehab time, Berry could again be a difference-maker in the secondary. Working against him? Only two defensive players have won this award in the past 10 years. Because Browns fans are a tortured people, it's almost inevitable that Hillis will rush for 800 yards and 11 touchdowns on 180 carries. He'll then re-sign with Cleveland for big money and miss the first six weeks of the 2013 season with chicken pox. Charles -- like teammate Berry -- has the benefit of extra rehab time having suffered his knee injury in Week 2 last season. Hillis could steal some touches, but Charles is too dynamic a player to discount. You have to wonder how much of Johnson's 2011 struggles went back to the lockout that rolled into a lengthy contract holdout. After a humbling season and a full offseason of workouts with Tennessee Titans teammates, Johnson should return to stud territory. Moss is this high mostly on reputation. The wide receiver has received rave reviews all offseason, and it's generally believed simple motivation will be enough to return him to elite status. Still, Alex Smith is not Tom Brady. I once referred to his situation as the darkest timeline. Now he's the dark horse. T.O. should have no problem climbing the Seahawks' depth chart, and he still has the speed and size to get open, even at 38. If Matt Flynn looks his way, Owens should get his customary 1,000 yards and 10 touchdowns. Not as crazy as people think. Peterson is arguably the greatest running back of his generation, so it's not impossible to imagine he puts up a representative season if he plays all 16 games. 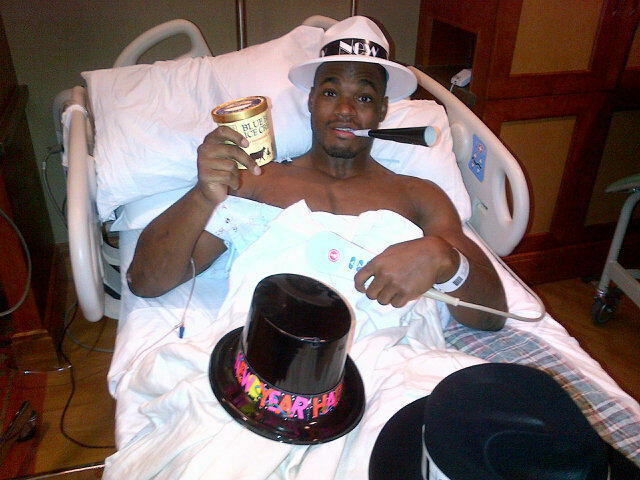 But he had surgery to rebuild his knee on Dec. 30. It likely will take him into the season to start feeling like his old self, and the Vikings are sure to be cautious with his pitch count. Manning looked healthy in his first preseason cameo, and he has the weapons around him to put up another 4,000 yards, 30-plus touchdown season if he can stay upright. He'll also be the sentimental favorite of voters on account of his impeccable media savvy. The clear favorite.